Use the drop-down menu below to explore Madeira. Formed by a volcanic explosion, Madeira’s coastline is awe-inspiring with steep and rocky cliffs ingrained with lava gorges. With a temperate maritime climate, the Madeira archipelago, which includes the three islands of its namesake, Madeira, as well as Porto Santo and Desertas, sits around 250 miles north of Tenerife in the Canaries. The picturesque, yet hilly, capital city of Funchal and a spectacular landscape teeming with flora and fauna make up part of the reason this charming island is a year-round destination. 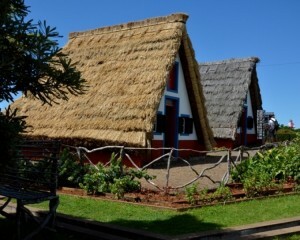 Renowned for its Madeira wine, levada walks, embroidery artisans and fabulous gardens, Madeira is a very popular destination, visited every year by about one million tourists. The island is also known for its annual New Year celebrations that feature the largest fireworks show in the world (as officially recognised by the Guinness World Records in 2006). Madeira was claimed by Portuguese sailors in the service of Prince Henry the Navigator in 1419, and settled after 1420. The archipelago is considered to be the first territorial discovery of the exploratory period of the Portuguese Age of Discovery. The main harbour in Funchal is the leading Portuguese port in cruise liner dockings, being an important stopover for commercial and trans-Atlantic passenger cruises between Europe, the Caribbean and North Africa. The island of Madeira is wet in the northwest but dry in the southeast. In the 16th century the Portuguese started building levadas or aqueducts to carry water to the agricultural regions in the south. The island is very mountainous and building the levadas was difficult, with many having to be cut into the sides of the mountains - often sentenced criminals or slaves were used. Today the levadas not only supply water to the southern parts of the island but provide hydro-electric power. There are over 1,350 miles of levadas that provide an excellent network of walking paths. Some provide easy and relaxing walks through beautiful countryside, but others are narrow, crumbling ledges where a slip could result in serious injury or death. Two of the most popular levadas to hike are the Levada do Caldeirão Verde and the Levada do Caldeirão do Inferno which should not be attempted by hikers prone to vertigo or without torches and helmets. The Levada do Caniçal is a much easier walk, running 7.1 miles from Maroços to the Caniçal Tunnel. It is known as the mimosa levada because mimosa trees are found all along the route. 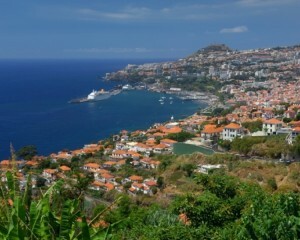 We sell a wide range of holidays to Madeira so please do get in touch as we'd be delighted to help you. Madeira is classified as having a Mediterranean climate but there are clear differences between north- and south-facing regions. Other microclimates do exist, particularly in the constantly humid wettest points of the mountains and also in the desert areas of the islands. The islands are strongly influenced by the Gulf Stream and Canary Current, giving mild year-round temperatures - the average annual temperature at Funchal weather station is 19.6 °C. In contrast, on the highest windward slopes of Madeira, rainfall exceeds 50 inches per year, mostly falling between October and April. Honeymooners will delight in the beauty of the island, the range of activities of offer and with a superb choice of accommodations from luxury, iconic, cliff-top hotels to intimate quintas (manor houses) in the hills, there is something for everyone. Due to European Union and Portuguese bureaucracy, getting married in Madeira can have its complications, although it is possible. Please contact us for details of how it can be done. Madeira is served by a variety of airlines from the UK, including British Airways, who begin their schedule to the island in May 2015. There is an excellent choice of regional airports as well as low cost and charter airlines to choose from (London, Manchester and Bristol being the most popular from the UK). With flying times of around 4 hours, this is a great short-haul destination.